According to Iran’s state television, most of the injured were immediately released from hospitals and suffered only slight injuries in the quake on Sunday night. The TV said 37 remained hospitalized. 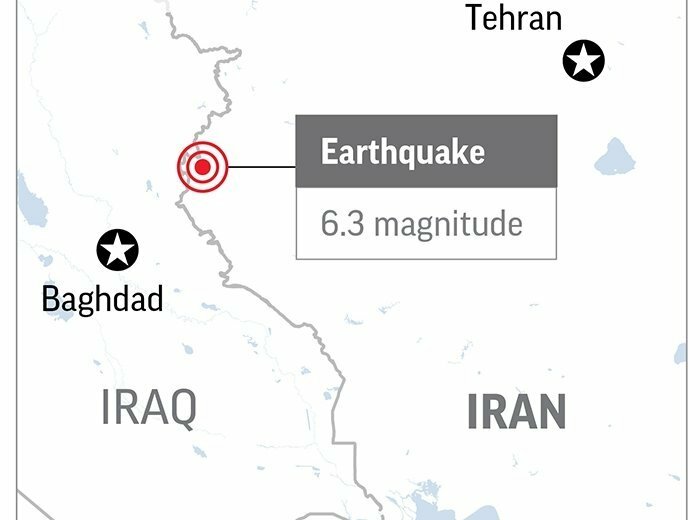 It hit near the town of Sarpol-e Zahab in Iran’s Kermanshah province, which was the epicenter of an earthquake last year that killed more than 600 people and where some still remain homeless. Sunday’s temblor also downed power lines and caused brief power outages into the night as temperatures hovered around 8 degrees Celsius (46 degrees Fahrenheit).